The year is starting out busy!! Already had our first wedding of 2012 and so many more to come. But first, we must continue sharing photos of our 2011 couples. We have so many favorites still to share!!! Eugene and Olga were married at the Excellence Rivera Maya Resort. They hired us for their next day Trash the Dress session. We started the session at the natural Mayan Ruins of Occidental Grand Xcaret Resort and finished at the Cenote Azul in the Riviera Maya. 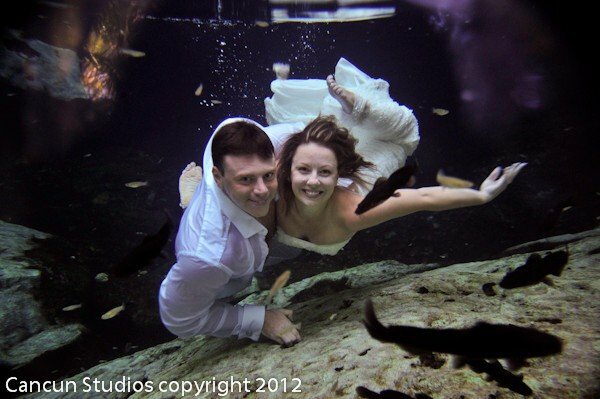 Olga was a bit nervous about the underwater photos but proved to be a natural mermaid bride! 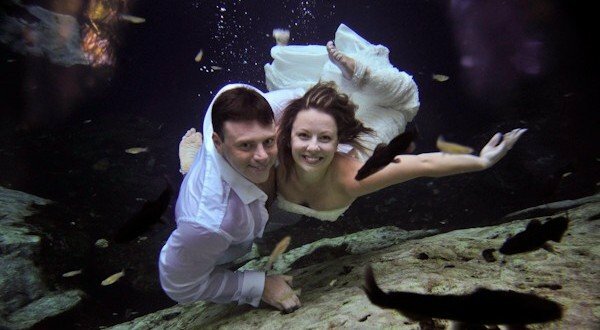 Armando, Wendy and little Brandon…Beach, Pool and Cenote Trash the Dress!